"Interview with Irving Goff". [Los Angeles], 1980. BARTLETT, Vernon. Intermission in Europe: The Life of a Journalist and Broadcaster. Whitefish : Literary Licensing LLC , 2012. 296 p.
BATES, Ralph. 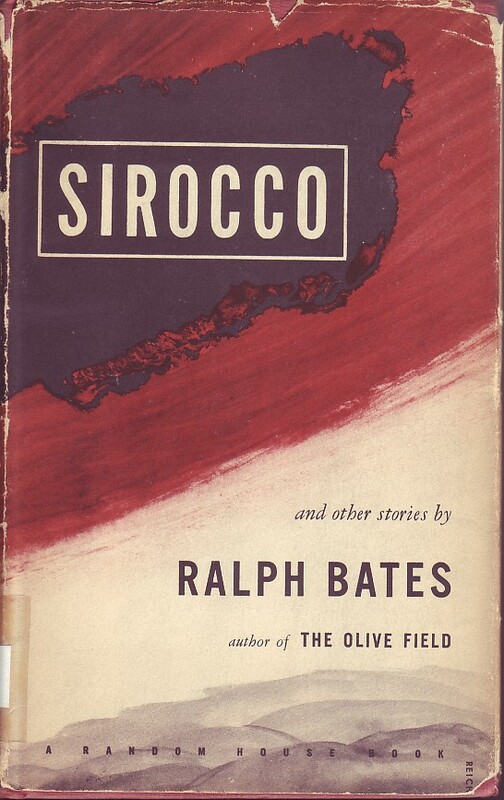 Sirocco and other stories. New York : Random House, , 388 p.
BEN LEIDER MEMORIAL FUND. Ben Leider, american hero. 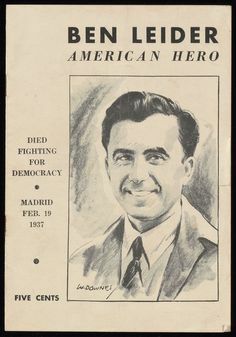 Died fighting for democracy. Madrid, febrero 19, 1937. New York : [s.n.], . 13 p.
BESSIE, Alvah Cecil ; Dan Bessie (ed.) 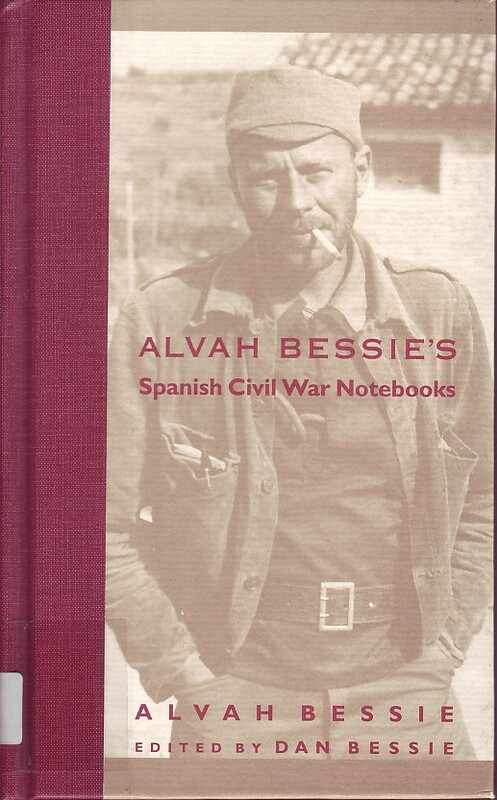 Alvah Bessie's Spanish civil war notebooks. 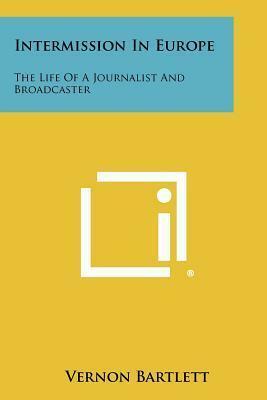 Lexington : The University Press of Kentucky, 2002. 156 p.
BESSIE, Alvah Cecil. 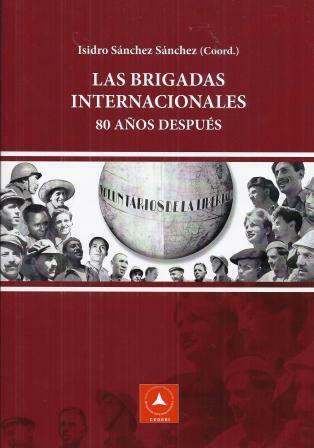 Spain again. San Francisco : Chandler & Sharp, 1975. 228 p.
BESSIE, Alvah. 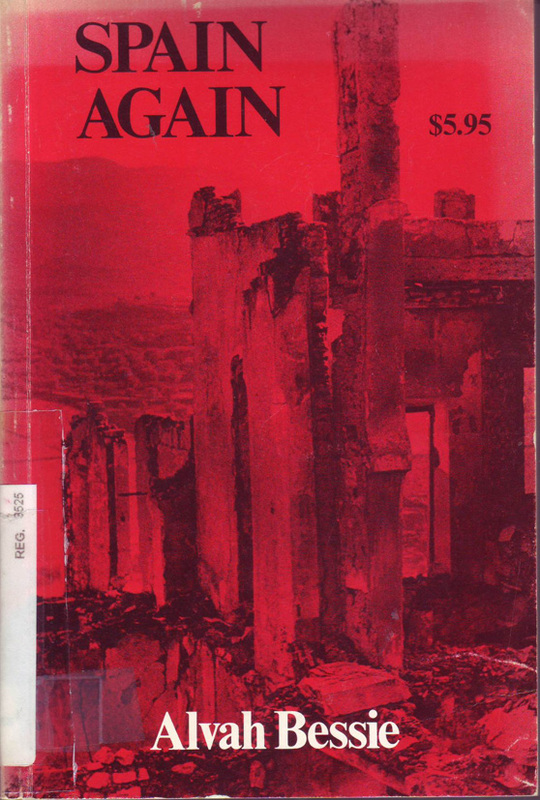 Spain again. San Francisco : Chandler & Sharp, 1975. 228 p.
BIHALJI-MÉRIN, Oto. 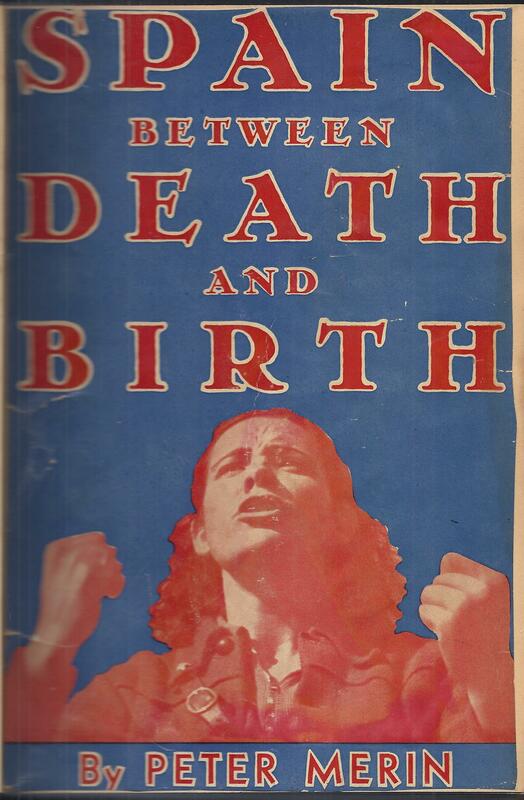 Spain between death and birth. New York : Dodge, 1938. 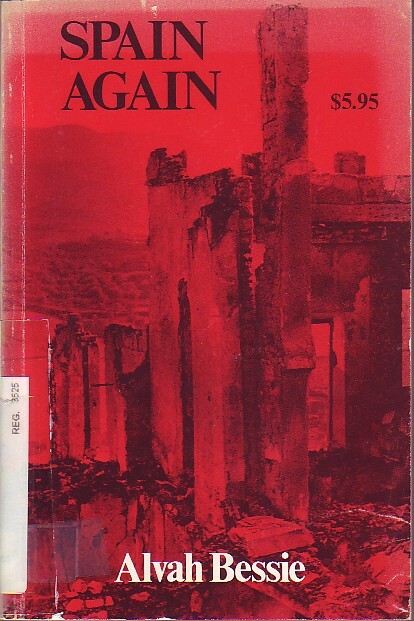 VII, 326 p.
BOWKER, Gordon. Inside George Orwell. New York : Palgrave, 2003. 495 p.